Google is sending a batch of invites to people who want to pay websites to see fewer ads. 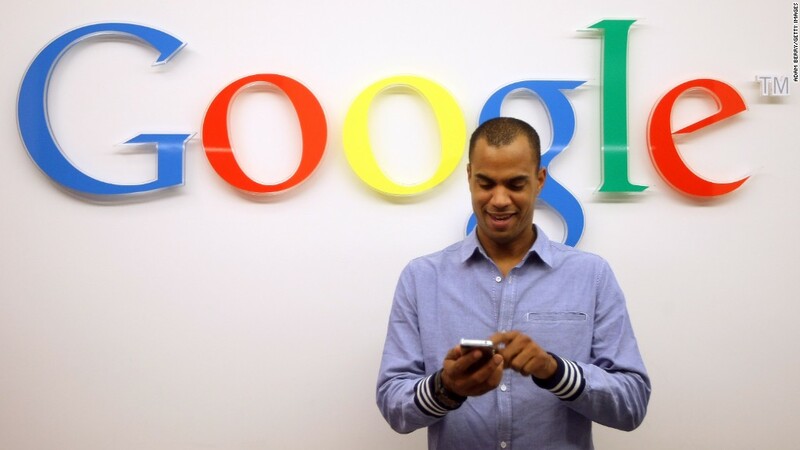 The program, Contributor by Google (GOOGL), was first announced in November 2014. In the email invitation, Google says you can pay $2, $5, or $10 per month to see up to 15%, 25%, or 50% fewer Google AdSense ads, respectively. Where an ad would normally appear, visitors will instead see a "thank you" message from the website. Google will receive a portion of these contributions and pay a portion to participating websites. The feature will not prevent ads served by other ad tech companies from being displayed. 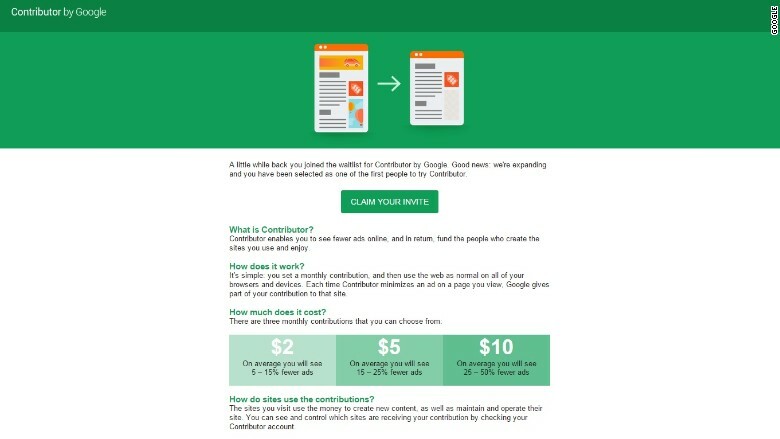 Google's April 22 invitation to people on the waitlist for the Contributor program. Mashable, the Onion, Imgur, ScienceDaily, wikiHow and Urban Dictionary have already signed on to participate. Google says "millions of sites -- everything from small blogs to large news sites" have also joined, with new additions made daily. Google is promoting Contributor as a way to make the Internet less dependent on advertising. Anyone who surfs the web and complains about ads may welcome this initiative too.